It is the bird of resurrection in Eternity, she added, “in whom night follows the day, and day the night – an allusion to the periodical cycles of cosmic resurrection and human re-incarnation”. The bird perished in the flames; but from the red egg in the nest there fluttered aloft a new one – the one solitary Phoenix bird. The fable tells that he dwells in Arabia, and that every hundred years, he burns himself to death in his nest; but each time a new Phoenix, the only one in the world, rises up from the red egg. 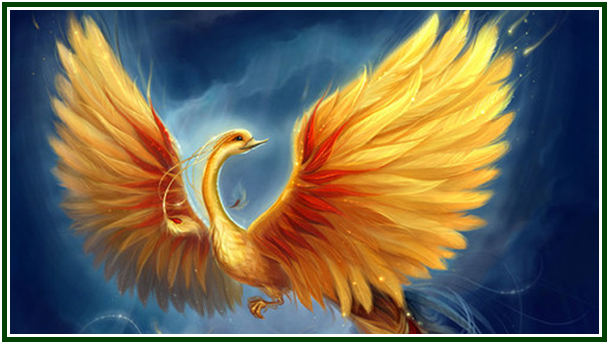 The Bird of Paradise – renewed each century – born in flame, ending in flame! Thy picture, in a golden frame, hangs in the halls of the rich, but thou thyself often fliest around, lonely and disregarded, a myth – “The Phoenix of Arabia”. In Paradise, when thou wert born in the first rose, beneath the Tree of Knowledge, thou receivedst a kiss, and thy right name was given thee – thy name, Poetry.